Tantalizing blend of black tea, honey, ginger and exotic spices. This inspiring combination of ingredients creates a rich, smooth taste to refresh your body & soul. Drink chai, embrace life! Buy now in a 1.9 lb. can. 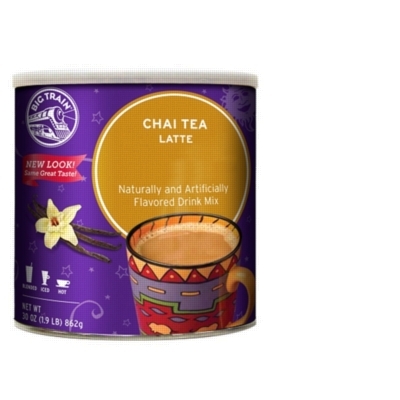 Note about Chamba Chai and Mystic Chai: Big Train Chai is fully comparable to Chamba Chai and Mystic Chai. In fact, Big Train is the manufacturer of both Mystic Chai and Chamba Chai and the ingredients are almost exactly the same. The preparation is also the same.